Noy Sheetrit's conversion to Islam on the Temple Mount to accommodate her partner Alaa Abu Sajir incensed the Israeli public and sparked an Internet storm. 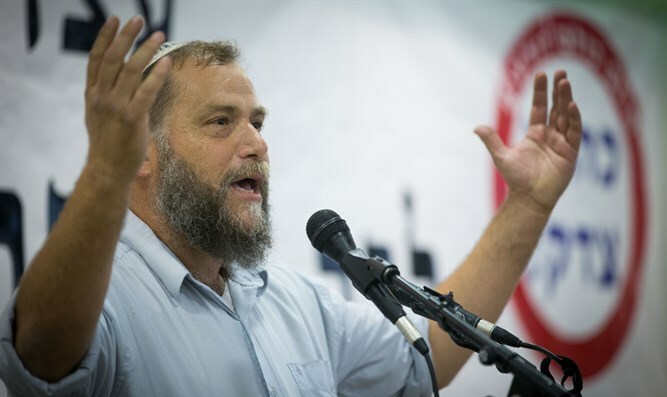 The Lehava anti-assimilation organization entered the picture in vigorous protest and led Noy to return to the fold of Judaism, at least temporarily. Today the two live together, but they do not enjoy quiet. This week, in the home of the Abu Sajir family in Rahat, Sajir spoke to Nana 10 about their acquaintance. At first, Sheetrit refused to give him her phone number until he showed up at her home, beginning their connection. According to him, the two dated for two years. He works as a handyman and did not tell her that he is still married. "I'm in the midst of a divorce, only Noy is in my life," he explains. "It's no different from marrying a second, third, or fourth wife," he says, adding: "I'd be lying if I told you it's not in all the Bedouin communities." Noy made it clear that she was happy: "Arab or not Arab - I don't care, I'm at peace with what I chose." Ammar, Alaa's brother, says that she was not pressured - she was accepted into the family without coercion. "There are a lot of girls - Noy is the heart," explains Alaa. His family says his father is also married to a Jewess and has children. "What's so strange about it?" asks Sami, Alaa's uncle - and he confirms that they both plan to have children. "Over my dead body, I won't give up on her. She is living between the two religions, between being a single woman and being a second wife." The two were threatened over the social networks and through telephone calls. In one of them, Alaa was told: "We'll leave you in the grave; release the girl - and we'll release your life; don't let the girl go - I won't release your life and I'll finish you." "What is this racism?" Alaa wondered, adding that he changed his phone number "about ten times" since the story began. "People will always have something to say, people aren't okay with a Jewish girl going with an Arab, I will not fall for such people," Noy said. "Take time and you'll see that it's good for me." After the wedding, Lehava initiated a relationship with the two in order to separate them, and Noy did temporarily return to Judaism. The next day, the head of the organization, Bentzi Gopstein, held a ceremony at the Cave of the Patriarchs in Hevron. But Sajir did not give up: "Lehava took her. She told them that she wanted to go back, and she went back to her mother - from her mother she came back straight to me." How does he explain it? "They filled her head, told her a lot of things. She did not know that they were Lehava people and that there were liars around her." Noy returned to Rahat. "I filed a complaint with the police; what does this organization want from our lives?" He rejected claims that he was abusing and exploiting Sheetrit: "The truth, love wins. I love Noy with all my heart, this is her first love."